We’ve reinvented Excel training with a course that brings you through 41+ business-critical topics and 160+ interactive, auto-graded exercises. Whether you work in Sales, HR, Marketing, or Finance, a proficiency in Excel is needed to further your career. Our innovative course takes you through 41+ business-critical topics and 160+ interactive, auto-graded exercises. 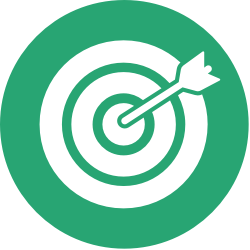 Personal or corporate goal setting and tracking for exercise completion through built-in scoreboard. Classes can be expensive, and content from videos is easily forgotten. Interactive lessons engage learner and develop a deeper understanding of the content that will stick. Critical business decisions are often made from information completed in Excel. Avoid costly errors through skill development in the areas that matter most. Ready to try the Excel training course trusted by the top brands in the indusrty? Based on years of deep experience and expertise, our team has narrowed down the primary topic areas you need to know for your company to be successful with Excel. 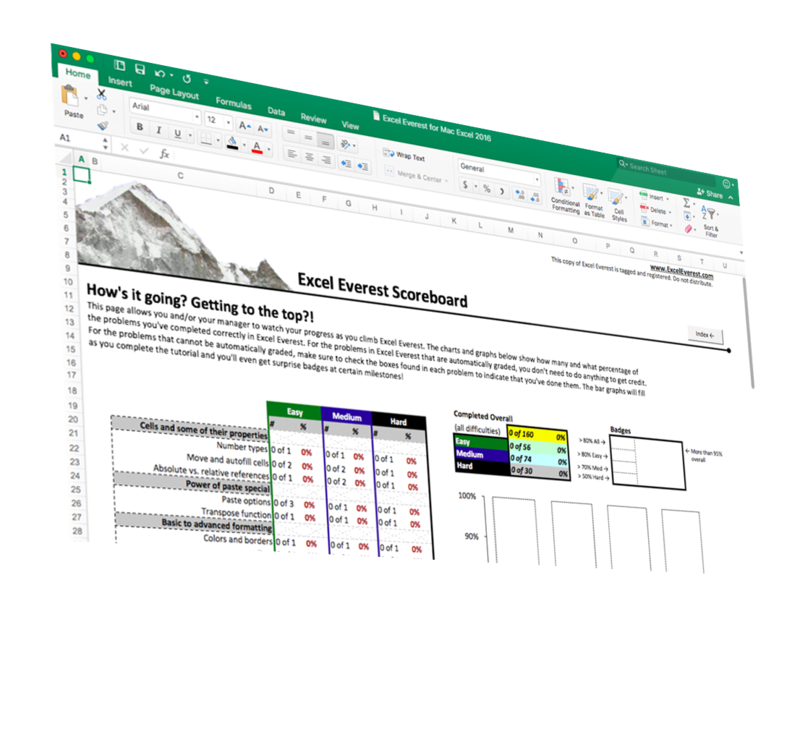 Who Is Excel Everest For? Inside the Excel course, you’ll find hundreds of embedded exercises categorized as Easy, Medium, or Hard. You'll work through our specially designed course directly in Excel and learn through practicing the skills right there in the course, saving your progress as you go. We'll help you identify common errors and pitfalls. We offer a 100% refund if Excel Everest doesn’t meet your needs within 90 days. No questions asked.